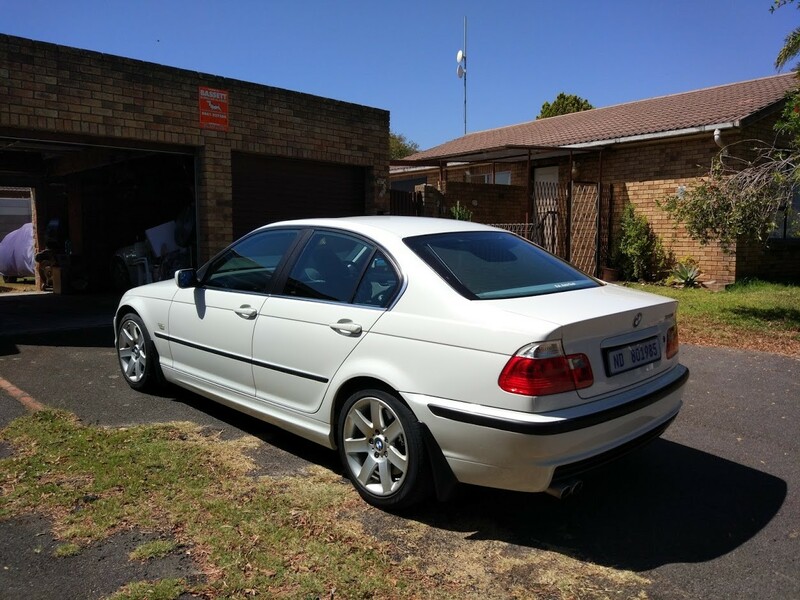 After been looking for well over a year, finally picked up my e46 330i on Thursday in Durban, and drove it down to Cape Town. 1. I picked it up on 92600km mileage. 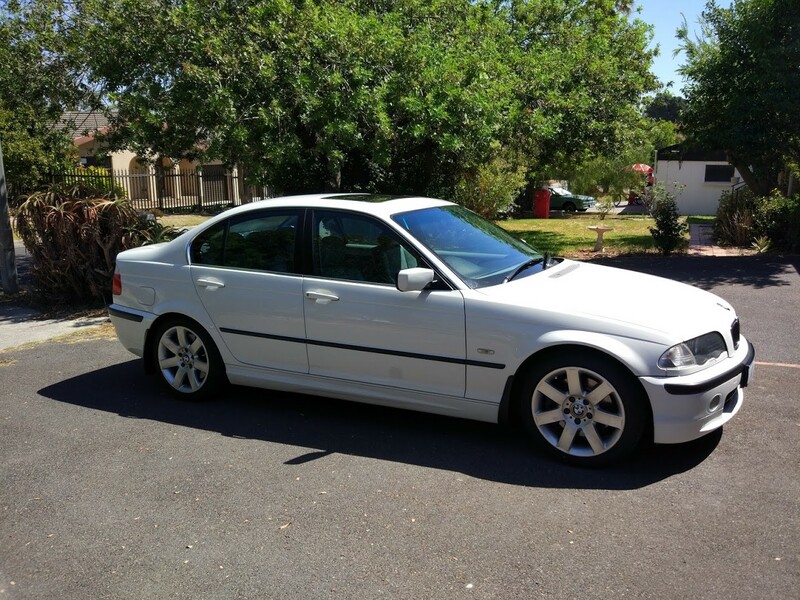 There some differences to the 2003 318i I have like, like no PDC, but have lights at feet. Electronic rear blind instead of manual rear blind. Diff must be on 2.93 ratio vs 3.36 ratio (I think) on 318i, as the revs are very different at 120KM/h. 2. Car was serviced less than 3000km ago, but will check things. Eg. oil and coolant levels look good. Don't see any leaks on the drip traf after my Durban->Bloem->Oudshoorn->Cape Town trip. 1. Fix cruise control - I suspect MAF sensor is unplugged. 2. Armrest mechanism has a broken plastic on one side, so need a replacement. 3. Do a complete check up now that I will have more time with it, to find anything else I have missed. 4. Check wipers. 1 Wiper missed a spot on the left side, annoying in rain. 5. Find LSM which allow me to set the distance of the headlights. Have this in the 318, so missing it in the 330, unless I can just program this one to make the shine a tiny bit further. Congrats on what a car!!! So you went ahead an bought it! Awesome! How much did you end up paying? Oh, and yes it has a 2.93 rear differential. 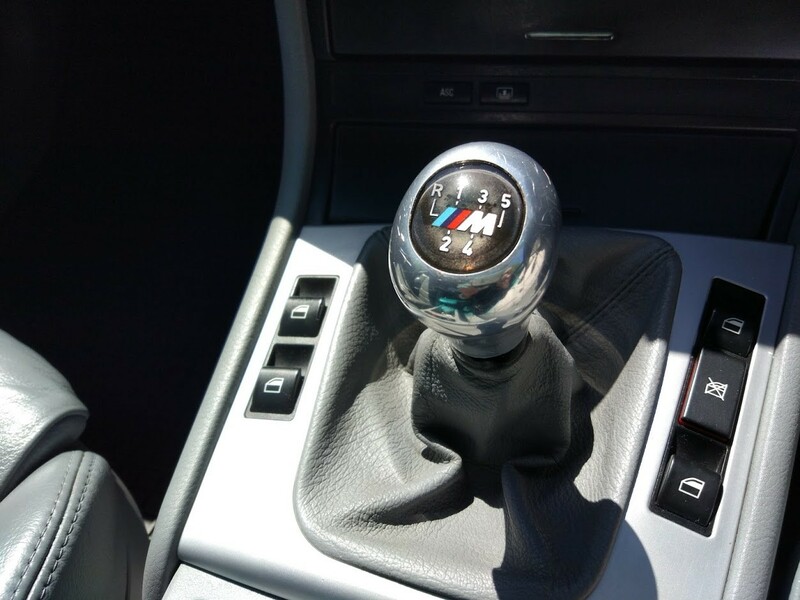 The ratio on the 318i is 3.38. Welcome to the 330i club, best daily driver bmw ever made. Only one pic is showing though. (11-03-2017 07:38 PM)Gizmo@GARAGE46 Wrote: Welcome to the 330i club, best daily driver bmw ever made. Only one pic is showing though. (11-03-2017 04:59 PM)AdiS Wrote: So you went ahead an bought it! Awesome! How much did you end up paying? Yeah. To be honest, I saw that ad before I created the wanted post on here. When I saw it before, I thought the guy was crazy asking the price and I overlooked it thinking I want a facelift. Then you pointed it out again (thank you). So I decided to think twice and go have a look at it. Did as much research as I could too. 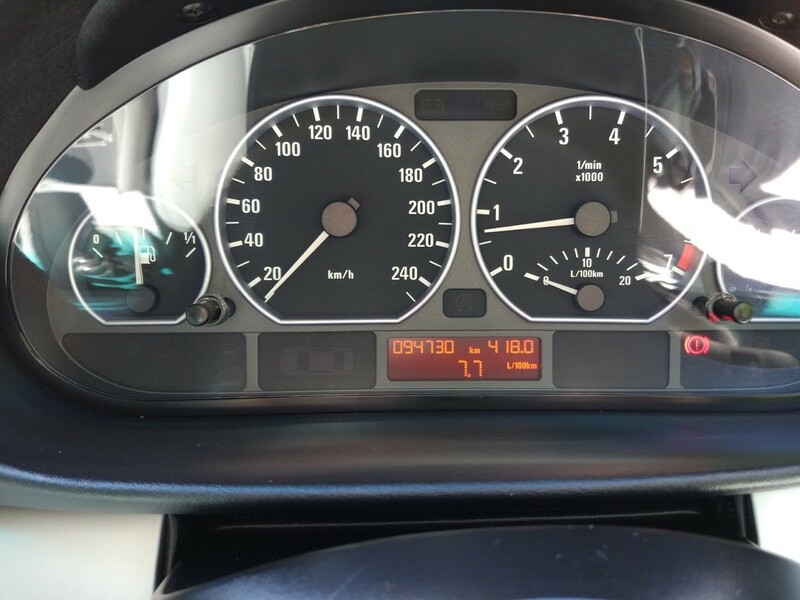 BMW motorplan showed it had a single service between 2001-2006, in 2006 on +- 9200 KM mileage, and then again at 10000k it had a battery replacement. 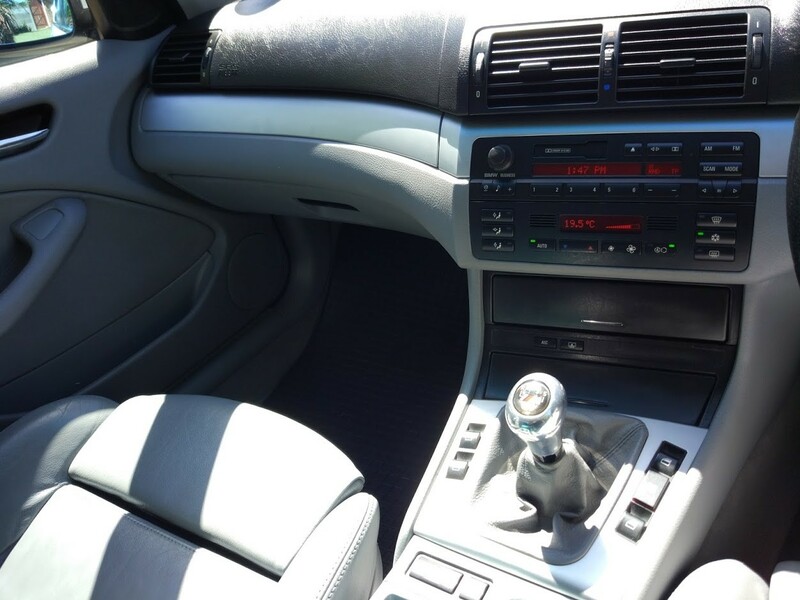 It was then sold to the 2nd owner after that, who took it up to 75 000 KM milage. The third owner who I bought it from, took it from 75 000 KM to 92500 KM from 2015-05 to now 2017-03. 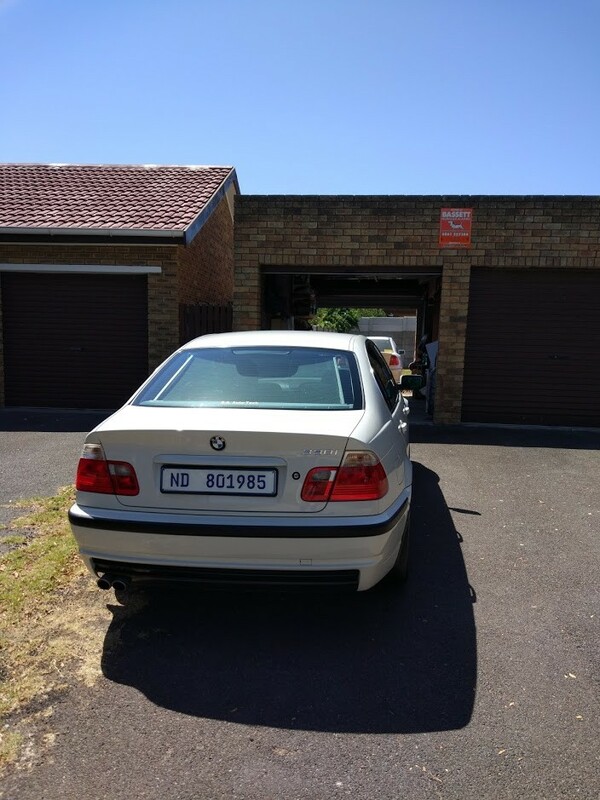 Thank you to another BMWFanatic who helped me with the enatis check, which confirmed the seller surname and the previous mileage the car was on when it was taken for a roadworthy. 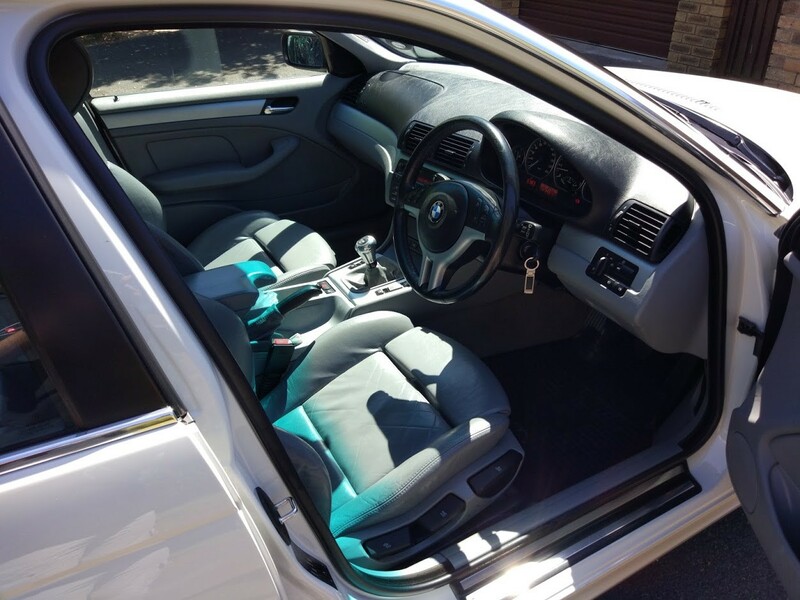 As for the price, the gumtree ad had it at his already negotiated price, so that is what I paid. Maybe too much, but I do think the car is worth close to that much. 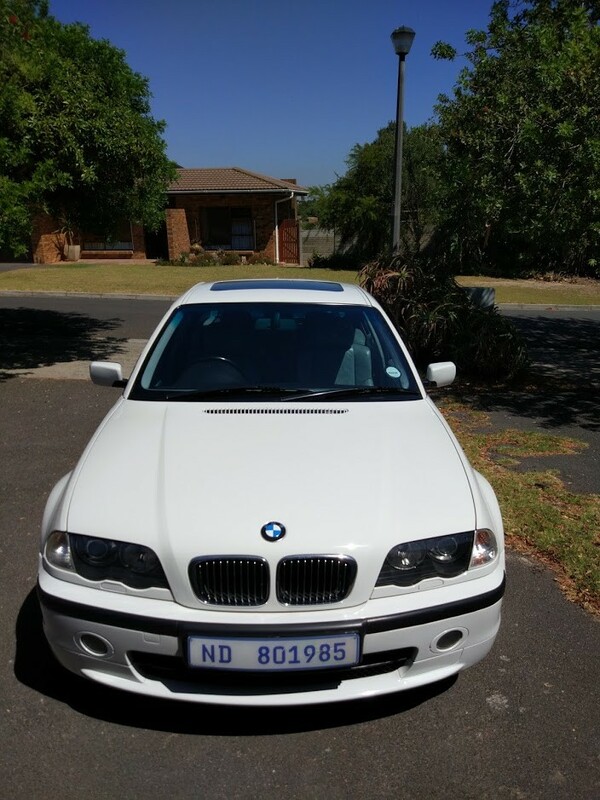 Not to mention, just before I picked up the car, I saw another ad of an e46 330i, also white, on 135000km for R130k, except it is an automatic and this was a manual. 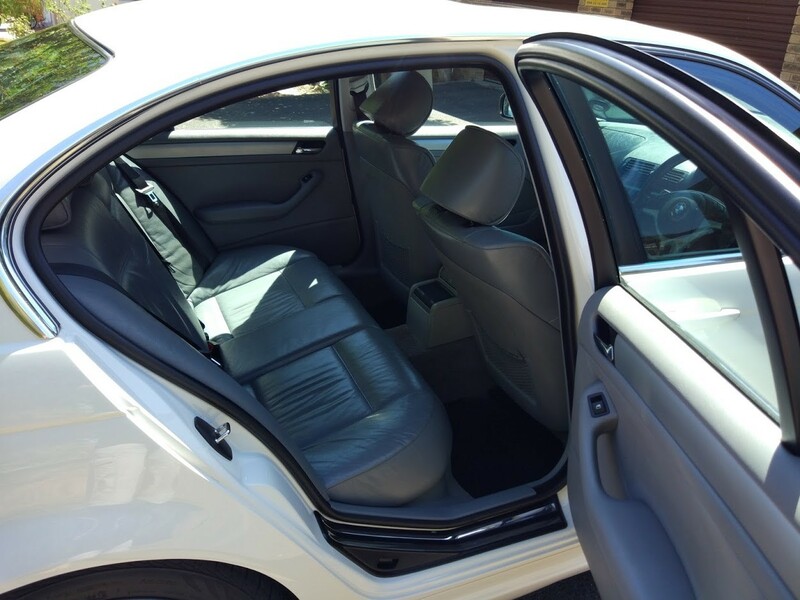 After driving the car to Cape Town, I am super excited with the car. It is pretty much in mint condition, with maybe 2 or 3 minor things to look at, but the engine is perfect (most important) and so is the rest of the car, the body is perfect. Very happy with it. Thank you. Only noticed the pictures now after I checked it in Tapatalk. Fixed it, forgot to make them all "shared" on google photos. After seeing all that pics that car is mint. Wish you lots of trouble free miles. You dont need to replace your light control module. If your car has factory xenons , which it seems to have because you have the xenons and the factory headlamp washers ) xenons and headlamp washers came together as an option on the E46 , I also think this is rare on pre facelift cars , then the car has self leveling headlights ( it was a legal requirement or is a legal requirement im not sure , it does not have the adjustments and does not need them . On your right control arm , you should see a small screw , attached to that is an arm which is attached to a black box , Make sure that arm is attached and fitted to the box correctly , also make sure that arm is screwed onto the control arm correctly. That sensor with the arm controls the height of the headlamp and the throw distance as well . If its been disconnected or damaged, reconnect it or replace it . I love this feature on my car , the throw of light is brilliant . Its also very convenient , the headlights adjust themselves all the time . I dont know how but it also adjust when going uphill , downhill , on odd surfaces , and when ever the rear weight increases . You have such a lovely car! (12-03-2017 02:03 AM)zippy320 Wrote: Congrats! Awesome car! They do auto level when I turn on the car. The VIN decoder also showed it was factory fitted xenons. The lights on the 318 also auto level when turned on. What you saying however is very interesting, I didn't know they would auto level also when going up/down hill, or even if the back of the car has weight on. I will check the sensor first, just thought the distance of the lights a short. Guys, there is a bit of a miss-conception here about the leveling of the headlights. In both cases (xenon or halogen), it is true that when you switch the car on, the headlight adjusters cycle through a range of adjustment, however they then settle on a pre-defined setting after that up/down cycle. In the case of halogens, this level remains static and can then be adjusted using the LCM adjustment wheel. With xenons, the car uses level-sensors attached ot the suspension to adjust this level dynamically according to the pitch of teh car (going up a hill, luggage in the boot) such that it maintains the ORIGINAL pre-defined headlight level. This pre-defined level is set manually on teh headlights themselves by using two adjustment wheels on the top of the headlights. @Tinuva - it could be that the predefined level of your xenons is not correct, and need some manual adjustment. 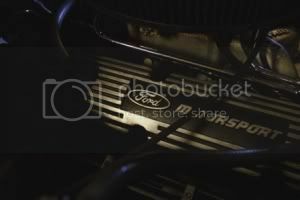 This you would do on teh headlights themselves, not by fitting a different LCM. Even if you DID fit a different LCM, the little adjustment wheel wont work, becuase your car is coded for xenons from the factory, and therefore the LCM ignores any adjustment made by that wheel. Google how to align E46 xenons properly... but basically you park the car on a level surface roughly 8m from a flat wall, and then use the adjuster wheels on teh headlights to aim the beams correctly. Once this is done, then you can rely on teh auto-levelling to continuously compensate for changes in the cars pitch when you drive up or down hills, add luggage or passengers etc. Adis is correct about the adjustments , there is also an adjustment on the headlamp , Its those two sort of adjustment wavy screws at the top , that sets the predefined hight . The self leveling keeps adjusting to those settings . (12-03-2017 07:06 AM)AdiS Wrote: Guys, there is a bit of a miss-conception here about the leveling of the headlights. However...... I would like to point out that levellers have nothing to do with the gradient of the road. It simply compensates for luggage/load/towbar, or when braking hard as the car pitches on its suspension. You can drive up a 45deg slope, and the headlights would still aim exactly at the same angle towards the road as when driving on a level road. Congratulations on a fantastic purchase! Ok been a while. Bought the car, just before leaving the country for a short holiday, but back now so started inspecting a few more things on the car. So before adjusting anything, I will first have to replace that. My understanding is the lights are now just shining at default level, which is very short, and I believe is the issue I have. Reading up, confirms the dial that changes the level on my 318 is only for euro spec halogen lights. Also ran Rheingold tests and reading all the faults. 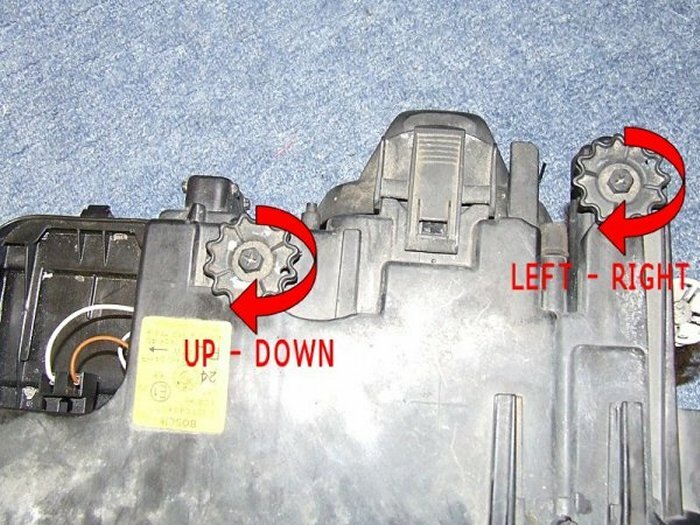 IHKA module reports the left footwell motor flap is faulty. Testing the fans at the feet indeed only blows air on the driver side, so will look into this eventually as well. Mostly spent time on finishing up the paperwork at motor vehicle licensing, number plates ect. Also booked in to BMW to get the airbags checked and replaced so long. Will disconnect it for now. New sensor is R2106 at SMG Tygervalley. $20 or so from China...thinking of just ripping the plastic arm of one of those and find a way to put it on the current sensor which seems to be fine. 1. Fix cruise control - Havent looked at this yet. 2. Armrest mechanism has a broken plastic on one side, so need a replacement. R6000 at SMG..will go have a look for a 2nd hand one. -> Found a few things. Like sunroof was fixed at some point, but whoever did the repair did a poor job. The shade is not put back into the rails, and now missing 1x right side slider and another plastic bit that is only available in the full repair kit is missing. Very annoying. -> havent looked at this yet, can wait a bit, they work just not as good as the 318. -> not doing anymore, will instead find an affordable way to fix the level sensor, but for temporary disconnect it. I took it in to SMG today and got both airbags replaced, so that is ticked off for now at least.